Deeply rooted and broadly drawn, Georgian Bay Forever is steered by lifelong devotees of the Bay. We are committed advocates, educators, environmentalists, realists, idealists, and of course, residents. Chair of GBF: After a career in nursing, Anne moved to healthcare philanthropy in 1988 until her retirement in 2012. Her experience includes President and CEO roles at The Queen Elizabeth Hospital Foundation (now Toronto Rehab Institute Foundation), St. Joseph's Health Centre Foundation and, for the past 11 years, William Osler Health System Foundation. Anne has had a long involvement with the Association for Healthcare Philanthropy, an organization that focuses on education and accreditation for healthcare fundraising professionals. 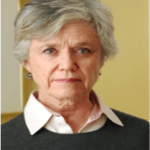 She served on the Board for over ten years including as International Chair. She is one of only 12 Canadians who holds the Fellows designation (FAHP), the highest level of achievement in the field of healthcare resource development. As a consultant and volunteer, Anne now provides strategic advice on fundraising, governance, communication and leadership to a number of not-for-profit organizations. Anne and her family have enjoyed their cottage in Pointe au Baril for 40 years and was previoulsy GBF's vice-chair. development to the Board of Directors of GBF. In addition to his LLB with a focus on Natural Resources and Environmental Law from University of Calgary, Adam has a Bachelor of Environmental Studies degree from Waterloo University and is a Fellow of the Royal Canadian Geographical Society’s College of Fellows. In the Community, Adam is Chair of Camp Awakening (summer camp for children with disabilities). Adam’s family has celebrated more than 100 years on the Georgian Bay. Adam was the previous GBF Secretary. Derek Bowen is the President and CEO of BEX Engineering Limited, a manufacturer of industrial process components in the field of hydraulics. BEX operates a state of the art manufacturing facility in Mississauga using the latest in CNC machining and forming, robotics technologies, and injection moulding and has sales offices and warehouses in the United States and Germany. Sales are worldwide and BEX is considered a leader in its product fields and celebrated its fiftieth anniversary in 2013. Derek is a Professional Engineer (Electrical) and holds an MBA from The Joseph Rotman School of Management. Derek has been involved in various community initiatives including the Georgian Bay Land Trust and is a member of the Canadian Manufacturers and Exporters Association. He is an avid sailor who has been cottaging on the Bay since 1966, has been sailing the Bay since 1975, and is a member of the Sans Souci Copperhead Association. Helen Bryce was educated at New York University (BS) and Columbia University Teachers College (MA). Over her career as an Art educator and later, as a classroom teacher, she taught junior, senior and high school students in a variety of schools in Toronto. Her work as a teacher, Project Teacher and then Vice-principal at Lord Dufferin Jr. Sr. P. S. in Regent Park, was a turning point in her understanding of equity, generational poverty, the challenges for new arrivals to Canada and growing up in the social isolation of housing projects. She continued as an administrator as Principal of Earl Grey Senior P. S. for nine years until retirement in 2012. A fourth generation cottager at Pointe au Baril, Helen has grown up with the Bay in her sights and the granite under her bare feet, marvelling at sunsets, wildlife and the mystery of weather and water that makes Georgian Bay the unique and unforgettable experience that it is. There is no place on earth that she would rather be and is honoured to be able to apply her skills as an educator to the protection of Georgian Bay. 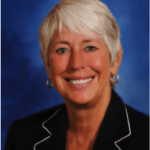 Janet Burt is a Human Resources Executive and Consultant, and is Principal of Janet Burt Consulting. She founded the firm in 2009. Janet’s practice focuses on developing human capital strategy, building organization capacity through organization design and talent management, and managing change. From 1997 to 2009, Janet was a Consultant and Principal at Knightsbridge Human Capital Solutions in the Organization and Leadership Solutions Practice. Prior to joining Knightsbridge and GSW, Janet was head of Human Resources at the Hospital for Sick Children, Assistant Vice President of Organization and Leadership Development at Crown Life Insurance and Director of Organization Development at Southam Inc. Janet has successfully completed the Certificate in Organization Design at the University of Southern California, Marshall School of Business, Centre for Effective Organization. She has a BA in Psychology and Bachelor of Physical Education degrees. Janet was a member of the Human Resources Professionals Association of Ontario (HRPAO) and certified Human Resources Professional. In the volunteer sector, Janet has been a member of the Board of Directors at the Badminton and Racquet Club of Toronto and Chairman of the Board of Directors of Planned Parenthood of Toronto. 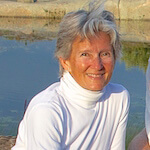 Janet has spent more than 45 summers on a family island in Georgian Bay. She is a member of Sans Souci and Copperhead, Manitou and Wah Wah Taysee Cottagers’ Associations. 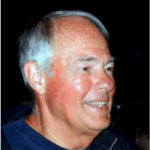 Terence (“Terry”) Clark grew up on the Great Lakes and practiced law with large international firms for 41 years until he retired in 2009. The principal focus of his legal practice was complex litigation in the areas of intellectual property, media and entertainment, corporate technology and trade secrets; and he also served as both a mediator and arbitrator of disputes in those areas. In addition, he headed up the Intellectual Property Practice Group in his last two firms (1990 – 2009) and was a member of the administration and practice management committees. During the life of his practice, Terry worked with and represented clients in cases and proceedings in numerous local, state and federal agencies and courts throughout the United States; and for the last 25 years of his practice, he was regularly recognized with the honor of being designated among the Best Lawyers in America. 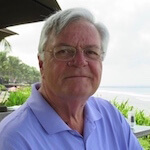 Terry has served as a Director on many non-profit organization Boards in Ohio, California and Ontario since the 1970’s, concentrating his contributions in the areas of governance, strategic planning, government regulation, legal issues, and project processing and implementation. For the past 47 years, he has spent his summers on the Georgian Bay in Pointe au Baril, where he has continued his involvement on non-profit Boards. During a period of 30 years with the Pointe au Baril Islanders’ Association, Terry has served on numerous committees, as a long-standing Director, and as President of the Association. He was also a founding member of the Board of the Ojibway Historical Preservation Society in 2002, has remained since then as a Director of OHPS and has served as its Chair and President from 2010 until the present time. 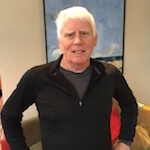 Terry and his wife, Hilde, both appreciate the opportunity to give back to the Bay for the benefit of their grandchildren and future generations; and for the past five years since his retirement, they have been “commuting” for the summer from the East Bay area of San Francisco to enjoy life on the Georgian Bay. Paul taught environmental and planning law for many years, first at Dalhousie and for the last many years at Osgoode Hall Law School. More recently Paul's focus has turned to dispute resolution. He founded and now co-directs the Professional LLM in Dispute Resolution at Osgoode and until recently did mediations from time to time. He has worked in the past with government, industry and First Nations, including the Chippewas of Nawash (Cape Crocker). With his retirement from Osgoode, he is using his expertise in negotiating and problem solving on behalf of protecting the environment and the water of The Bay we all love so much. Paul also joins the Public Affairs committee. Jennifer is a strategic and creative marketing & communications executive with over 30 years of experience helping non-profit organizations to achieve their goals. 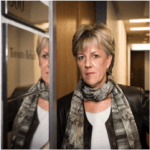 As the founder and owner of Ferguson & Associates she has assisted many well-known NFP clients such as Heritage Toronto, Public Health Ontario (PHO) and Ontario Problem Gambling Research Centre. While at the Toronto Rehabilitation Institute, Jennifer led a portfolio of three departments (Marketing and Communications, Media Services and Conference Services) responsible for all internal and external communications, including Foundation communications and helped the hospital earn a reputation as a national leader in rehabilitation science and increased public awareness of the hospital by 43% over 10 years winning 10 regional, national and international awards for marketing communications excellence along the way. Jennifer holds a master’s in Marketing Communications Leadership from the Schulich School of Business, York University, a Bachelor of Administrative Studies – Marketing Major with Honours, York University and a Journalism Diploma, Sheridan College. She has been active as a volunteer in a number of organizations and is a member of the American Marketing Association (Toronto Chapter) and International Association of Business Communicators (Toronto Chapter). Douglas is currently a Co-founder and Partner at CueContext a mobile software company specializing in context adaptive mobile apps for the zoo industry. 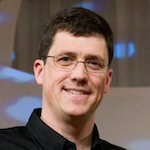 .Previously, he was the COO of Flybits and at IBM for 25 years, most of it as a HQ executive in strategy functions. He led IBM software group’s world wide technical strategy and overall strategy for it’s Collaboration, Portal and Smarter Workforce division. He was IBM’s chief open source officer. He has chaired international standards organizations, been an expert witness at the European commission on intellectual property, and standards. He has been an expert consultant and jurist to Canada’s Networks of Centers of Excellence. He was the sponsorship executive for the ACM-ICPC (World’s Programing Championships), for 10 years. He currently sits on the board of directors of MaRS innovation and sits on its investment committee. He has been a member of the AGO’s technical advisory committee and a mentor and advisor to may startup companies. He has a BAH from Queen’s University in Political Studies and a Masters in international Social and Economic Administration (MAES) from the University of Grenoble Alpes France (Pierre Mendes). His passion for The Bay comes from over 45 years as a cottager in the San Souci area of Georgian Bay for over 45 years. Dr. Hutchinson was the Canadian Practice Area Lead in Water and Natural Resources for AECOM Canada (formerly Gartner Lee Limited) from June of 2008 until his resignation in November of 2009. From 1998-2008 he was the Senior Aquatic Scientist at Gartner Lee Limited; appointed as a shareholder in 2000 and a Principal in 2006. He received his B.Sc. in Honours Ecology from the University of Guelph in 1978 and his Ph.D. in Zoology (Aquatic Toxicology) at the University of Guelph in 1985. He spent 3 years in post-doctoral studies and 11 years as a scientist at the Dorset Environmental Science Centre of the Ontario Ministry of the Environment. 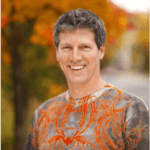 Neil is the principle of Hutchinson Environmental based in Bracebridge, ON with offices in Kitchener, ON and Edmonton, AB. He brings over 30 years of postgraduate experience in limnology and watershed studies to the study team. His professional career has focused on pollutants and stressors of aquatic systems, with a focus extending from geochemical to laboratory to whole-watershed levels of investigation and a specialization in PreCambrian Shield systems. 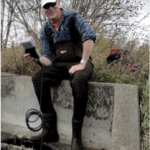 Neil has been involved in numerous GBF funded studies over the past five years including the paleolimnological study of the Honey Harbour North Bay and South Bay sediments going back through almost 500 years of climate and ecosystem conditions. 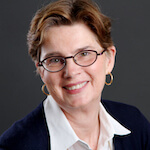 Laren Stadelman MBA FCMC is an experienced management consultant and coach. She works with senior organizational leaders to help them set direction, strengthen their leadership and build organizational and board capability. She focuses specifically on health care, not-for­ profit and public sector organizations helping them to make a difference in society. With over 25 years of consulting experience, Laren has consulted to a variety of industries and all levels of government. She has expertise across a range of disciplines including strategic planning, organizational design, governance, mergers and acquisitions, and program and operational reviews. Clients value Laren's ability to help them tackle complex situations and deliver sound advice. She is seen as an excellent listener with a genuine interest in helping the individuals and organizations she works with to achieve their goals. Laren holds an MBA from York University and is a Certified Management Consulting Fellow (FCMC). An active volunteer, she has served on hospital, community and professional association boards. And she is passionate about the environment and especially The Bay where she cottages at Tiny. 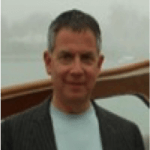 Laren has also joined the Governance committee. 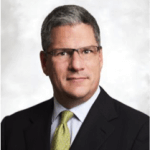 Joe was Canadian Managing Partner of the Financial Advisory Services practice of KPMG in Canada. The FAS practice was composed of the Corporate Recovery and Insolvency, Corporate Finance,Business Valuations, Forensic Accounting and Transaction Services. Joe holds a Bachelor of Applied Science degree in Industrial Engineering from the University of Toronto. He is a Fellow of the Chartered Professional Accountants (FCPA). He held a Licensed Insolvency Trustee designation. Joe was a member of KPMG's Partnership Board for almost 10 years and a senior Management Committee member for many years before his retirement. Joe and his wife, Donna have been on the Bay for almost 35 years at Snug Harbour. They have two adult children and 4 grandchildren and all hugely enjoy the Bay. David is the Executive Director of Georgian Bay Forever. David is an entrepreneur, scientist, researcher and communicator who has spent his career in environment and high tech industries. He has always been interested in protecting the environment through sound business practices to yield sustainable outcomes. His business ventures have included the first G.R.E.E.N. chemical drum recycling program, state of the art atmospheric instrumentation development to monitor UV levels and the ozone hole, as well as aquatic and terrestrial ecosystem health. David has always been focused on research and education. David manages the team to deliver results in all facets of the organization including the scientific research programs for Georgian Bay Forever, its communications and educational activities and managing the finances, fundraising and day-to-day operations of the charity. David holds a BSc in Biochemistry from the University of Waterloo. He has spent years boating and camping throughout Georgian Bay and its waterways.